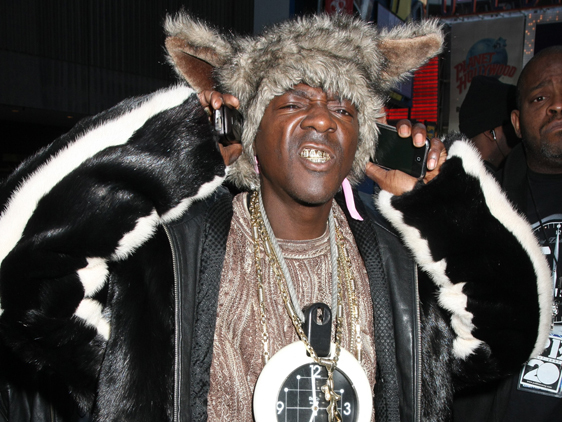 Hip-hop veteran Flavor Flav spent thousands of dollars on drugs a day - for six years. The Public Enemy star and reality TV regular details the extent of his battle for sobriety in his new memoir Flavor Flav: Icon, admitting he'd never be able to live with himself if he totalled up the amount of money he wasted on drugs. He tells PopEater.com, "I was spending $2,600 (£1,625) a day, for six years, every single day (on drugs). I don't know how much that is, but, if you did the math, wow, I went through a lot of money. If I did the math I'd probably be shocked on how much money I spent, I'd probably punch myself in the face." Based on his estimate, he would have spent nearly $5.7 million (£3.56 million) over a six-year period just to fuel his addiction.